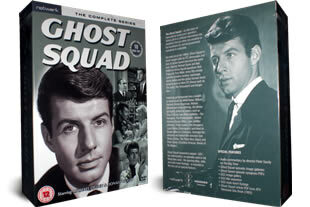 Ghost Squad DVD box set. 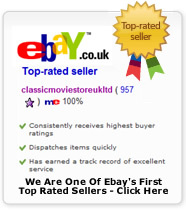 The complete series on 10 dvd's. DELIVERED FREE IN THE UK. Ghost Squad, known as G.S.5 for its third season, was a crime drama series about an elite division of Scotland Yard that ran between 1961 and 1964. Each episode the Ghost Squad would investigate murder, espionage and robbery. Despite the show and characters being fictional, an actual division did exist within the Metropolitan Police at the time. Arrived very quickly and price was cheaper than other suppliers. This was a favourite from my childhood and though very much of its time the signature tune is as great as I remember. I never actually watched this series when it was aired ( I was very young at the time and in bed) but my father used to watch it and I vividly recall the theme tune! Some of these episodes are really amazing!